There is more evidence supporting the power of the mind-body connection. 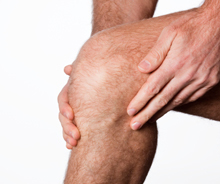 A new study finds that depression can cause an increase in the pain associated with arthritis of the knee. A study in South Korea of 660 men and women over age 65 suffering from osteoarthritis of the knees were evaluated using X-rays. They were also screened for depression. Those with joint damage were more likely to report high levels of pain, which one would expect. Researchers also discovered, however, that people with depression who seemed to have mild cases of arthritis based on the X-rays had much higher levels of reported pain. Learn more about natural treatment options for osteoarthritis at our website.